Daryl White has been fishing Arizona’s waters for 35 years and flyfishing them for the past twenty. He began fly tying around the same time. He enjoys fishing some of the “out of the way” waters around Arizona’s back country. 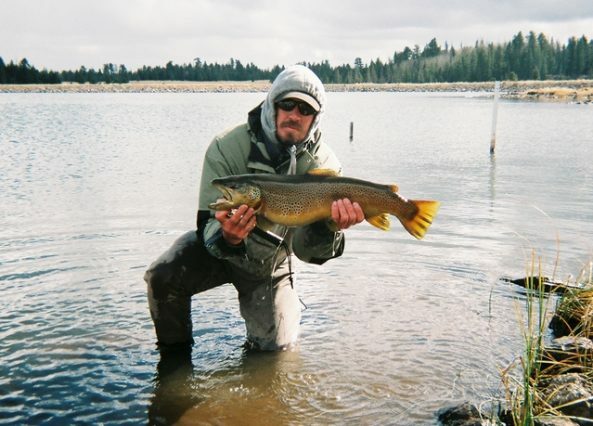 He also fishes a lot of the waters around Arizona….harrassing fish in Utah, Idaho, Colorado, Oregon, Nevada and Montana. In the winter months you can find him plying the warm waters of Arizona for bass, crappie, bluegill, catfish, carp, suckers, stripers and anything else that swims. He ties many of our simi seal leech patterns and has developed a minnow pattern that has proven very effective for all species of fish, the DW Minnow. Look for DW on the water. If he’s around…you’ll know it.